Even the station’s most respected officer, Lt. Damian King, probably can’t help Cassiel pass the second time around—so why is he so interested in her progress? If only one of her freaky déjà vu visions would offer an answer instead of mysterious messages like hide. Now Cassiel must fight to control her own destiny and race to save her brother—even if it means pretending to be the pawn of Prime Or’ic, the cold-as-steel Thell’eon leader. Even if it means risking her life, facing hard truths, and making the ultimate sacrifice. 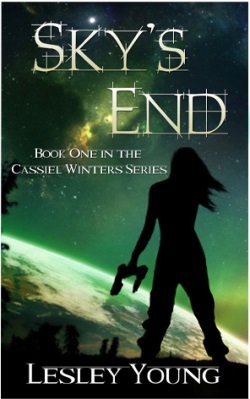 “Sky’s End” is the first book in a series that chronicles the futuristic adventures of Cassiel Winters, a spunky cadet on Earth’s new space station 568,000 miles from home who discovers a unique déjà vu-type gift that allows her to travel between dimensions. Life in space doesn’t come easy for Cassiel at first, but her newfound capability transforms her from an innocent cadet to a force to be reckoned with after an enemy threatens to destroy multiple universes. The battle is bigger than at first expected, and an unsuspected love causes quite the stir in her fight to save the galaxy. Fueled by the author’s own affection for astrophysics, “Sky’s End” mixes real scientific theories with gripping action, fantasy, romance and self-discovery. The journalist in Young asks the deeper questions to make the characters and story, through fiction, real to life. 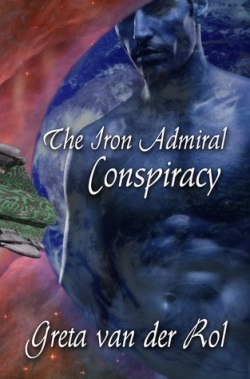 With Cassiel telling her story in first-person as it happens – and descriptive phrases like her nickname for the space station, “cylindrical giant floating sausage,” or detailing the out-of-our-worlders’ 20-inch- wide biceps – readers are placed smack dab in the middle of this unconventional, taut tale of betrayal, true love and destiny. Available in paperback and e-book July 15, “Sky’s End” is Young’s first work of fiction. She is a nationally recognized journalist living in Canada. She writes regularly for Reader’s Digest, Best Health, Canadian Living and House and Home Magazine. What struck me about the release and the book's premise was how heroine-centric they are. The release is clearly hoping to attract women readers as well as sell them on a coming-of-age story usually reserved for male protagonists. I perk up at these kinds of details because even in 2013 they're pushing boundaries. David Weber's Honor Harrington is great, but can we have more female protagonists in military science fiction, pretty please? I realize a press release has a certain job to do, but I'm not sure SKY'S END is "propelling" science fiction into "…a new direction" so much as it's part of a growing trend of heroine-friendly and character-driven SF/romantic SF/sci-fi romance. The more, the merrier as they say! Welcome to the party, Ms. Young! Want to know more about SKY'S END? Read the chapter one excerpt. Here's an interview with the author, courtesy of Bibliophilia, Please.